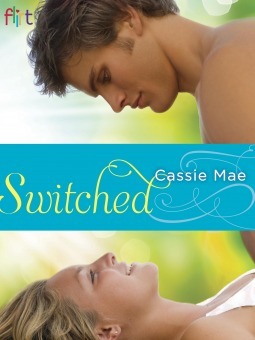 Book Review: Switched – Cassie Mae // GIVEAWAYS! Synopsis (from Goodreads.com): Ever since high school, Kayla has been crazy for gorgeous football player Talon. But before she could muster the courage to tell him, he became a hot item with her beautiful BFF, Reagan. The only person who knows Kayla’s secret is Wesley, Talon’s best bud—and he’s got it bad for Reagan. Now they’re all in college together, hanging out 24/7. For Kayla, seeing the two lovebirds together is absolutely unbearable. So Kayla and Wesley hatch a plot to drive them apart before Talon has a chance to give Reagan the Christmas gift she’s been waiting for. Review: I read Switched in under 24 hours. I probably would have read it in one sitting, if..you know, I didn’t have kids and have to sleep and all. Silly real life getting in the way! Regardless, the book was that engrossing, and fun! I loved watching the the relationships in this book unfold, and even though I could guess everything that was going to happen from beginning to end, I still loved reading it. The chemistry between the characters, especially Kayla and Wesley, is so intoxicating, you can hardly wait to get to the end. I honestly think what makes this one so good is the fact that – I’ve been there. I’ve crushed on a guy so hard and while I haven’t done anything to get him or anything, I have gotten to the point where it feels like there’s a chance – and then he doesn’t seem quite so perfect. It can be a confusing mess. Read the book! Tell me you don’t love it. I dare you! I’m not saying the plot is original, and has never been done before, so if that’s what you’re looking for, then you do have the wrong book. However, if you’re looking for a book that has characters that you can relate to, and funny, and sweet, and a-dor-a-ble…here you go! Anyone who comments on this review post through midnight (PST) on Sunday, December 8 is eligible to win a NetGalley review copy of SWITCHED! Winner chosen at random. 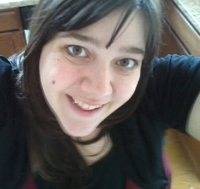 Cassie Mae (sometimes writes as Becca Ann ;)) is a nerd to the core from Utah, who likes to write about other nerds who find love. Her angel children and perfect husband fan her and feed her grapes while she clacks away on the keyboard. Then she wakes up from that dream world and manages to get a few words on the computer while the house explodes around her. When she’s not writing, she’s spending time with the youth in her community as a volleyball and basketball coach, or searching the house desperately for chocolate. 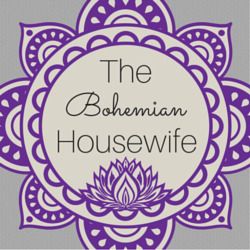 Don’t forget to connect with Cassie on Facebook and Twitter!